The new BMW 7 Series gets significant styling updates, bespoke interior trims and a new V12 motor. 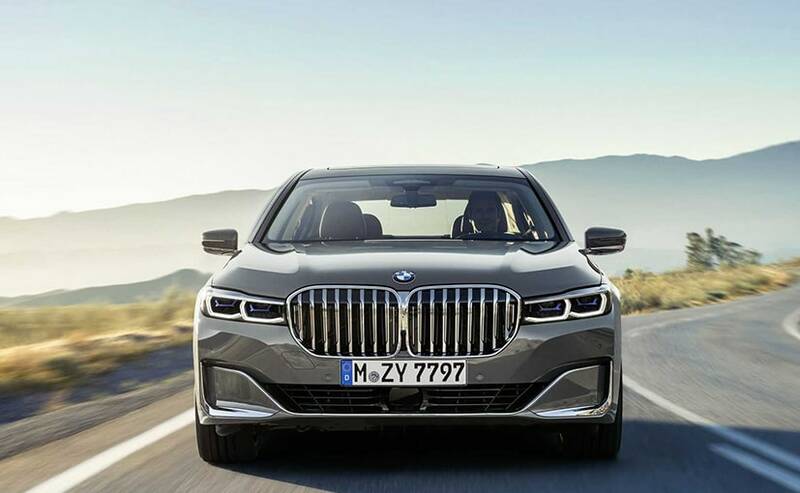 2020 BMW 7 Series gets the massive X& sourced Kidney grille. The 2020 BMW 7 Series gets a new face housing the massive kidney grille. The taillights are now slimmer and are adjoined by a single strip. 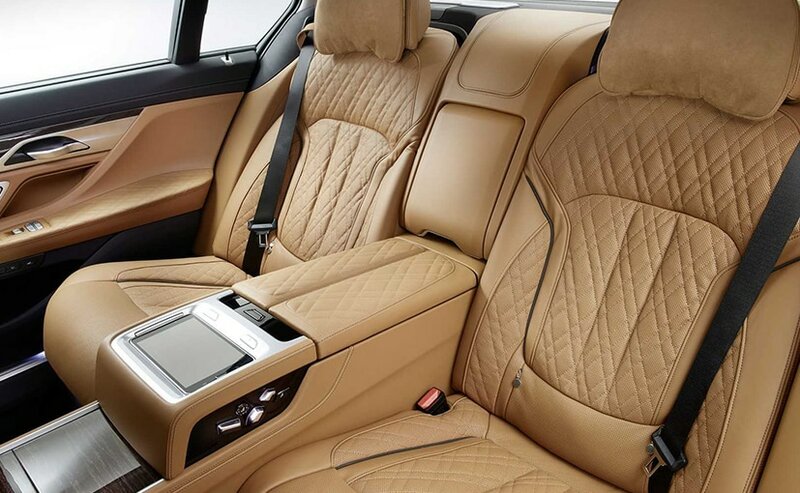 BMW is offering bespoke options for the interior trim. 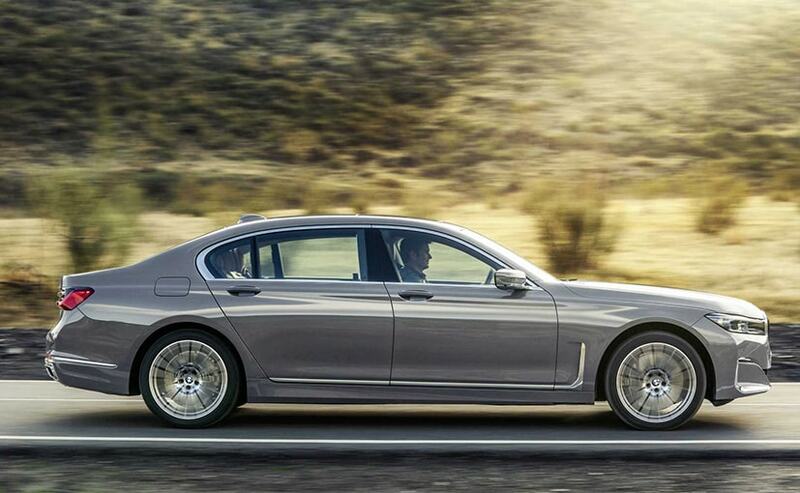 BMW has taken the wraps off the new 7 Series facelift which has received some major design tweaks. Well! They say the bigger, the better but BMW has taken it too seriously this time. The most apparent of all the design changes is the massive kidney grille which is 40 per cent larger than the one on the outgoing model. 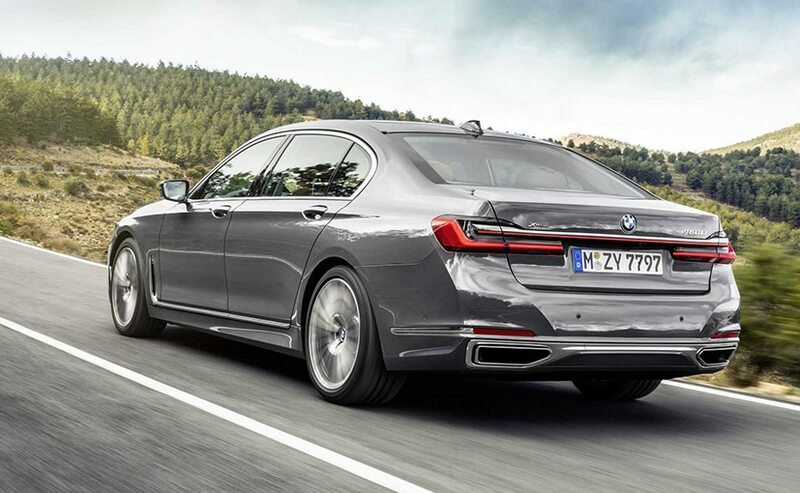 It looks too imposing and straight out of the X7 without a bit of shredding and appears to be obnoxious as imposing is not what you want on a sedan. The new bumper now gets a narrow 'V' above the air dam to incorporate the grille making just about the area to fit in the number plate. Though the sides of the bumper look more beautiful in the way they have been moulded deeper into the overhangs. The side looks almost similar to the outgoing model. That said, the rest of the design has been kept rather conventional and is still relatable to the outgoing model. The headlights still look sleek and go well with the long bonnet which now looks a tad more sculpted and has even gained muscle along with the fenders. The side looks almost similar to the outgoing model and there have been subtle changes in the design at the rear. For instance, the taillights which are 1.4 inches slimmer are now adjoined with a slim strip that runs the width of the boot lid. The taillights at the rear are slimmer and are adjoined by a light strip. On the inside, the silhouette of the cabin hasn't changed a bit and retains the same lines, but there have been technological advancements. The new flagship sedan gets the latest digital instrument cluster which we have seen in the new models like the 8 Series and X7. There will be bespoke options and BMW is also giving new leather trims and is claiming even better insulation of the cabin. Moreover, features such as wireless charging, in-built perfume, lane monitoring are standard across the range. 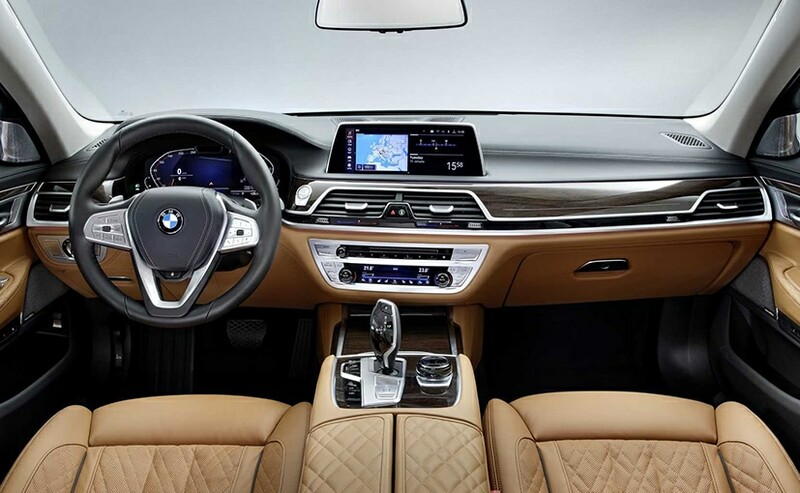 The cabin of the 2020 7 Series retains the design but gets feature updates. The new BMW 7 Series will also get a range of engine options including a new 6.0-liter, V12 motor which churns out 592 bhp and 850 Nm of peak torque and will make its way under the hood of the top-end M760 variant. Then there is the 4.4-liter, V8 motor which produces 516 bhp (up 78 bhp) and 750 Nm of peak torque (100 Nm up) and propels the car to 100 kmph in 3.9 seconds. Finally, the most in-demand of the lot will be the 740L which will now be a plug-in hybrid variant. It will get the same 3.0-liter, in-line six-cylinder engine which produces 276 bhp and 450 Nm of peak torque but will be coupled with an electric motor which will add 111 horses more taking the combined power output to 384 bhp. This engine enables the 740L variant to clock triple digits in 4.9 seconds. The 760 variants get the eight-speed automatic transmission as standard while the PHEV gets a Sport Steptronic transmission with an improved separating clutch.